Larkin was born and raised in Seattle. He is admitted to practice law in Washington State and is a member of the Washington State Bar Association. He received his undergraduate degree from Marquette University and his law degree from Seattle University School of Law. He is admitted to practice before the United States District Court for the Western District of Washington and the Federal Court of Appeals for the Ninth Circuit. Larkin is passionate about immigrant rights. 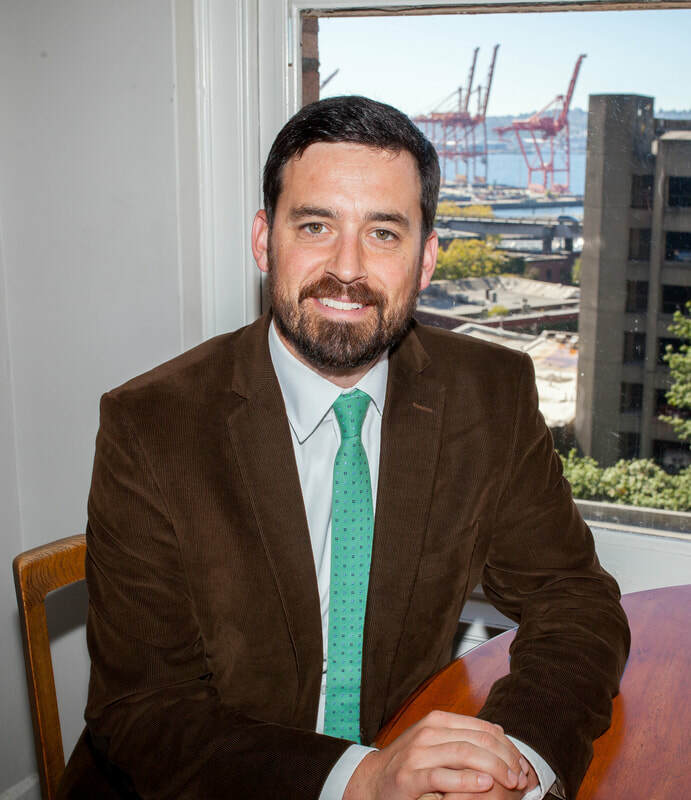 He previously worked for the Northwest Immigrant Rights Project in Tacoma, Washington where he worked exclusively with individuals in immigration detention. Larkin has represented hundreds of individuals before the Immigration Court, the Board of Immigration Appeals, the Ninth Circuit Court of Appeals, United States Citizenship and Immigration Services, and Immigration and Customs Enforcement. He continues to volunteer at a monthly bilingual legal clinic at El Centro de la Raza in Seattle. Larkin lived in Bolivia for two years before going to law school. He is fluent in Spanish and in his free time he likes to travel, follow the Seattle Sounders, bike, hike, and otherwise enjoy the Pacific Northwest.